ConcreteWall by Tom Haga, featured in a dining room. Irwin Weiner ASID - Leave it to photographers to take walls to the next level! Tom Haga has created a collection of custom wall coverings that feature 54 ultra-high resolution photographic trompe l'oeil ConcreteWall textures and Attic and WoodWall textures. 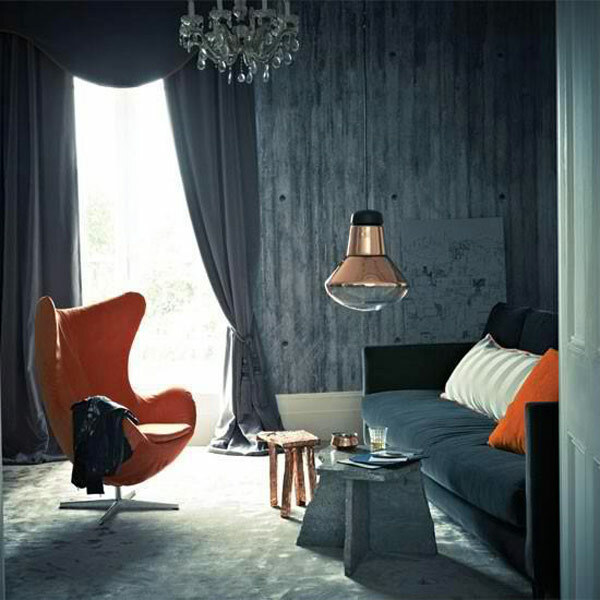 Nice job coordinating the ConcreteWall look with the furnishings and flooring, with orange color bursts. Projects are custom ordered to fit the job size so there's no wastage. Surfaces are washable and easy to apply and remove. The collection can be customized for your project: add color, a logo, art, etc. 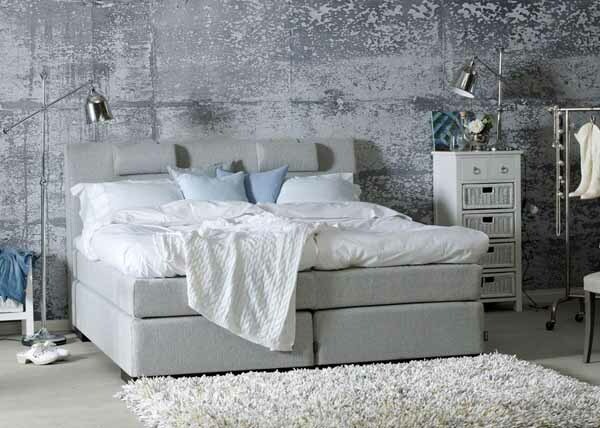 Another concrete call texture in this bedroom. I think it's a great way to add texture and layers to a room, and certainly a fun way to fool the eye into thinking that you're in a very high-tech, old, or cool industrial-type space when you're really only staring at tricked-out drywall. 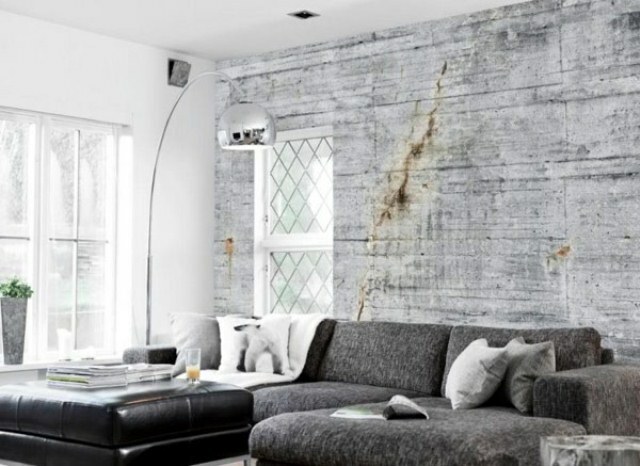 This living room gets a distressed, cracked concrete wall. And there are also bed linens and cushions to further coordinate Mr. Haga's grand illusion! A concrete cushion - now you've seen everything.